At the 2014 New York Auto Show, Subaru unveiled its all new Subaru Outback 2015. Hearing it from company, the model is a wagon version of company’s legacy. Adored with new looks, it offers you lot of space and more to delight your journeys. 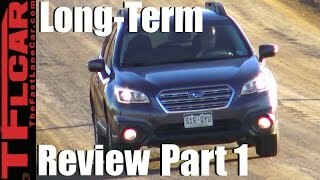 Let us have a closer sneak at the review of Subaru Outback 2015 and find out if it’s truly worth all the praise and appreciation. The interior of Subaru Outback 2015 is user friendly and is neatly designed when compared to its predecessors. There are some minute changes in all combine together to make it better. The queue begins with shifter that accompanies 90-degrees rotated cupholders next to it instead if keeping them behind like we saw last year. With this change the center console and the shifter moves slightly out giving it a natural slope and bringing all the controls to better accessible position. To make it better the controls are commendably arranged and that not just makes the console look neat but also gives you better command over them. Replacing the four-pod cluster, a dual gauge unit takes the place with a LCD sitting amidst two gauges that feature fuel economy, gear selection and other details. 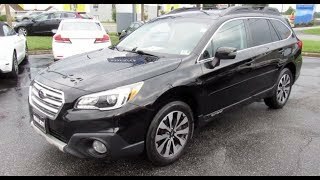 Exterior of Subaru Outback 2015 is also an amalgamation of minute changes which commendably combine together and make the entire look gorgeous. Starting with the front fascia you have soft curved and flattered look that features sharp angles of the plastic bumper, which comes integrated with large fog lamps. Above them you’ll notice redesigned grille sitting between the LED trimmed headlamps. Just like the bumper across the sides also you’ll notice plastic guards at bottom of vehicle. The rear looks bit sloppier with its wide taillights and rear window frame marking the unmatched glory. 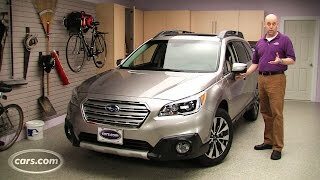 In all the exterior of Subaru Outback 2015 will give you a distinct position through its new looks. 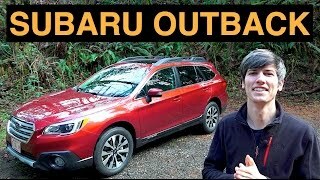 The Subaru Outback 2015 comes in two different drivetrains; first one is with 2.5i which hides beneath its hood a 2.5 Liter DOHC four-cylinder engine delivering total output of 175 hp and peak torque 236 nm while the seconds is with 3.6R Limited which carries a .6 liter DOHC six-cylinder engine generating total output of 256 hp and peak torque of 335 nm. Both the engines mate to CVT transmission with no conventional manual, not even the predecessor six-speed manual.